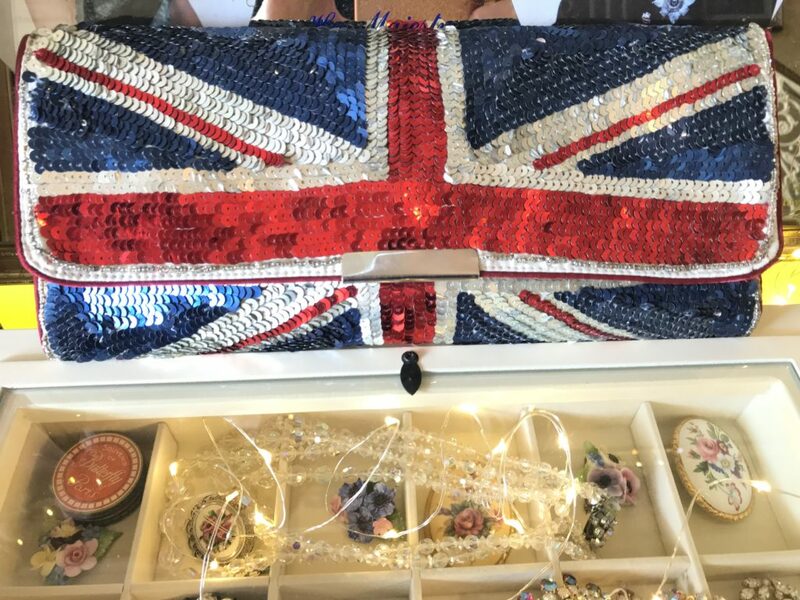 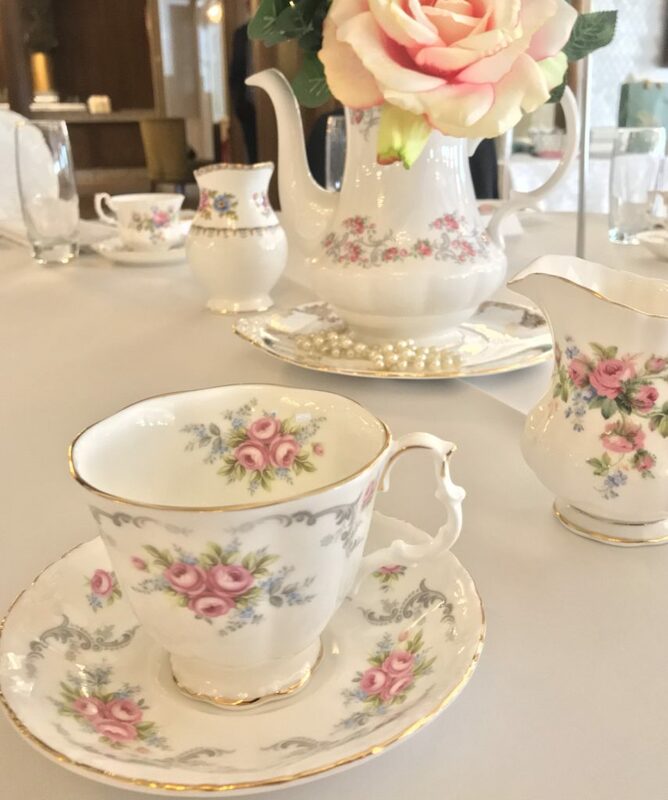 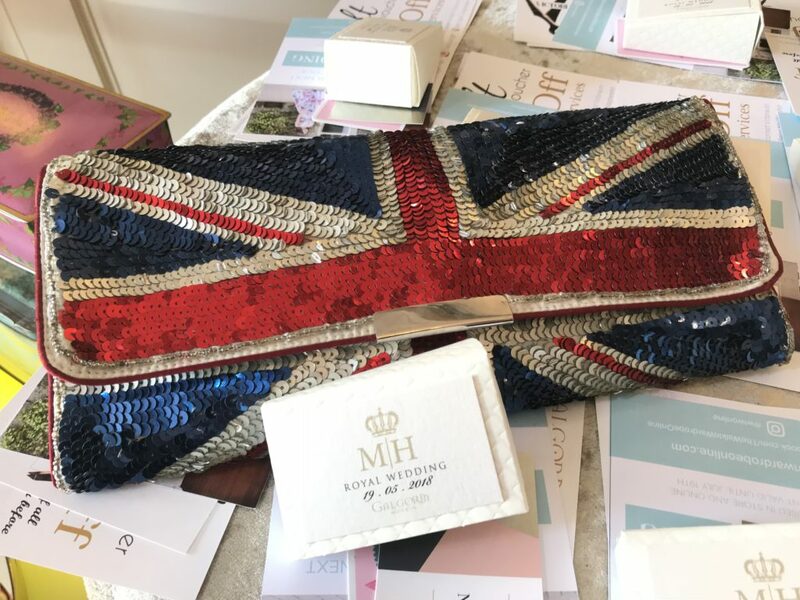 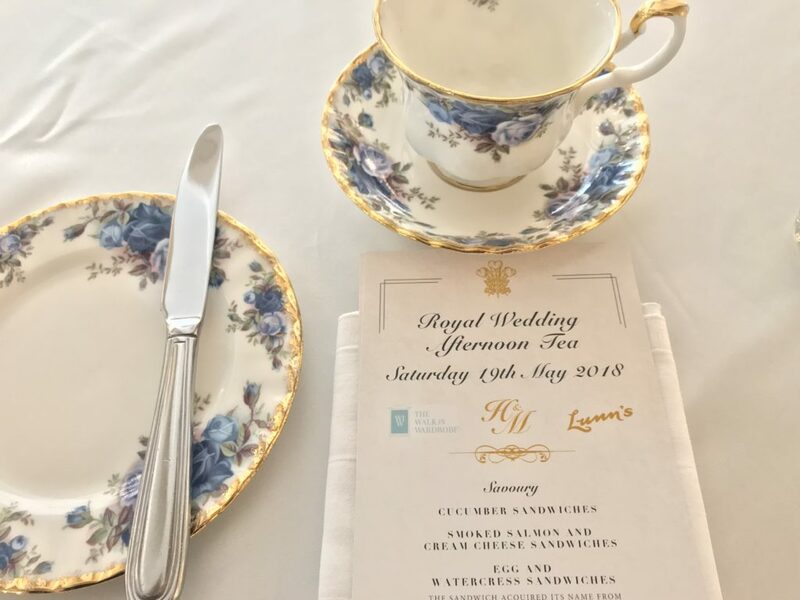 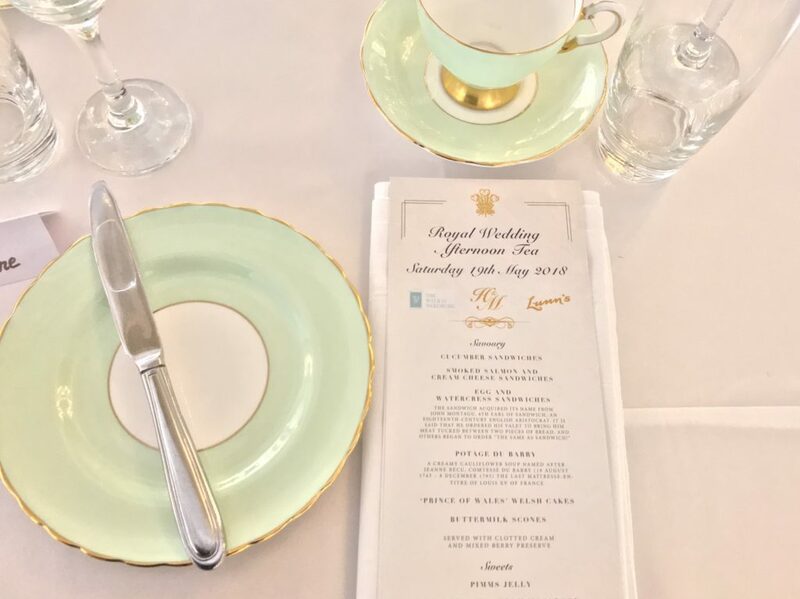 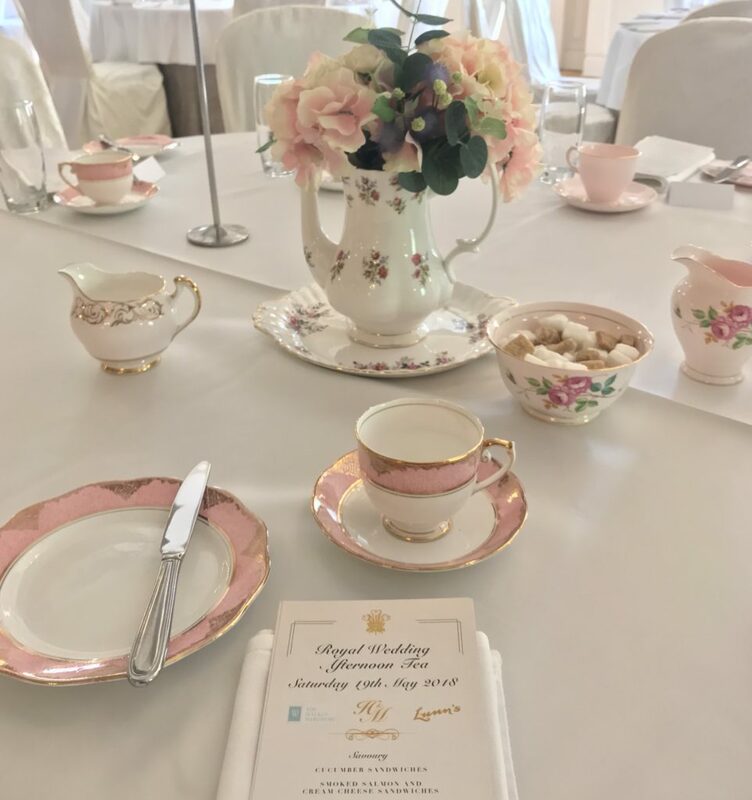 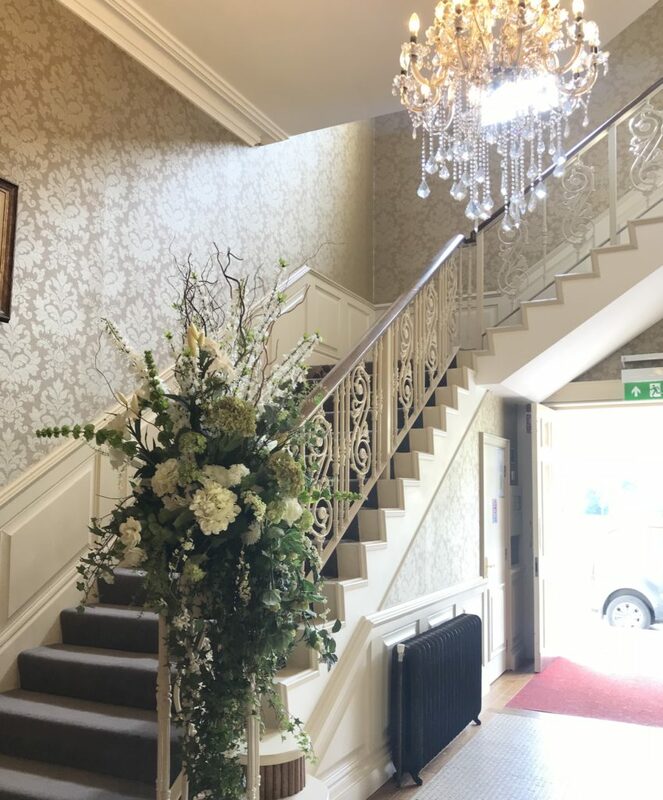 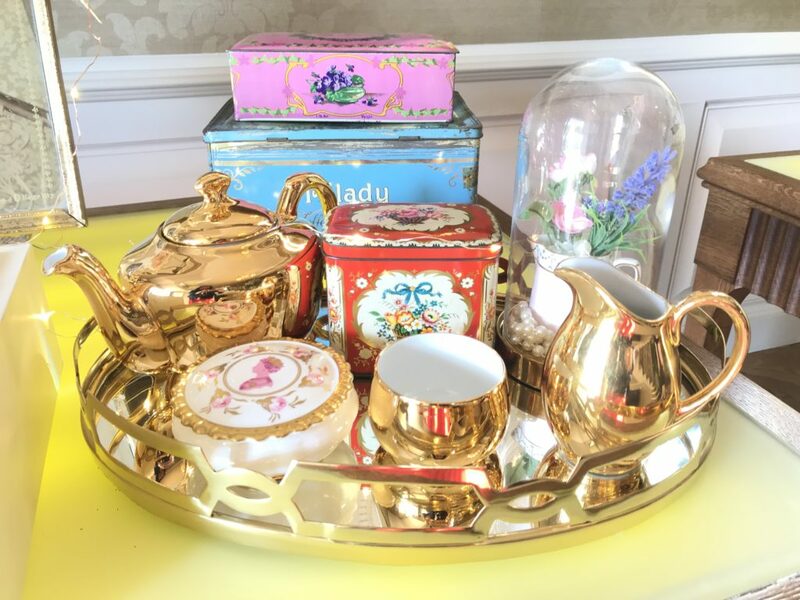 When I was asked to supply vintage china and accessories for a very special afternoon tea to celebrate the Royal Wedding at the beautiful Galgorm Resort & Spa I was delighted as I love all things Royal! 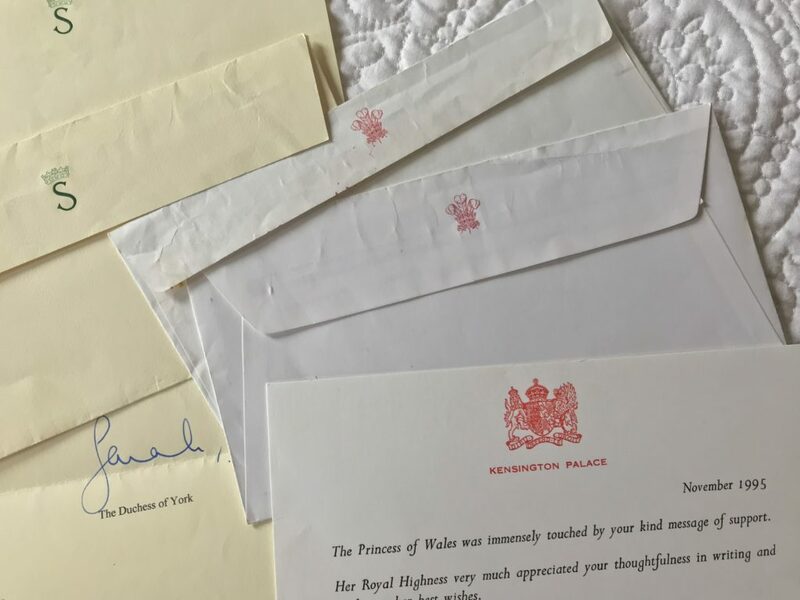 I was a huge Diana fan back in the day and wrote to her on a number of occasions and was always very excited to receive a reply back from Kensington palace! 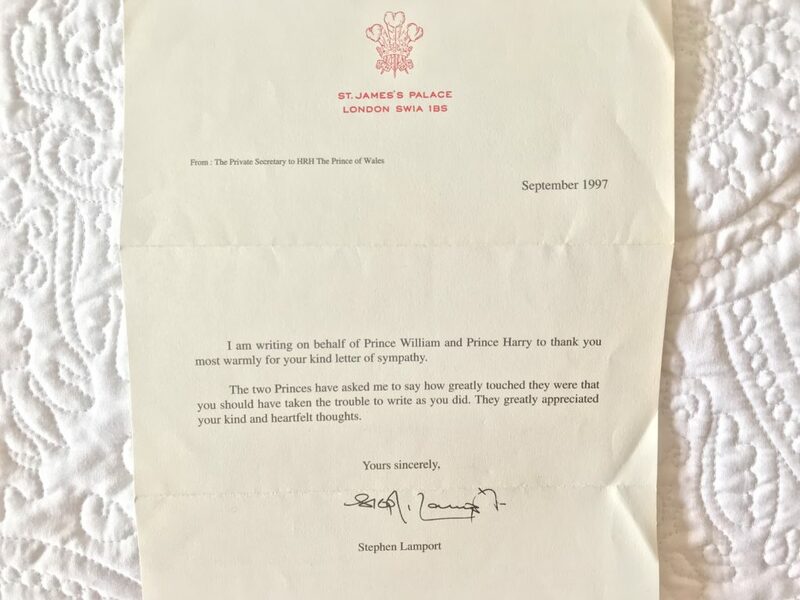 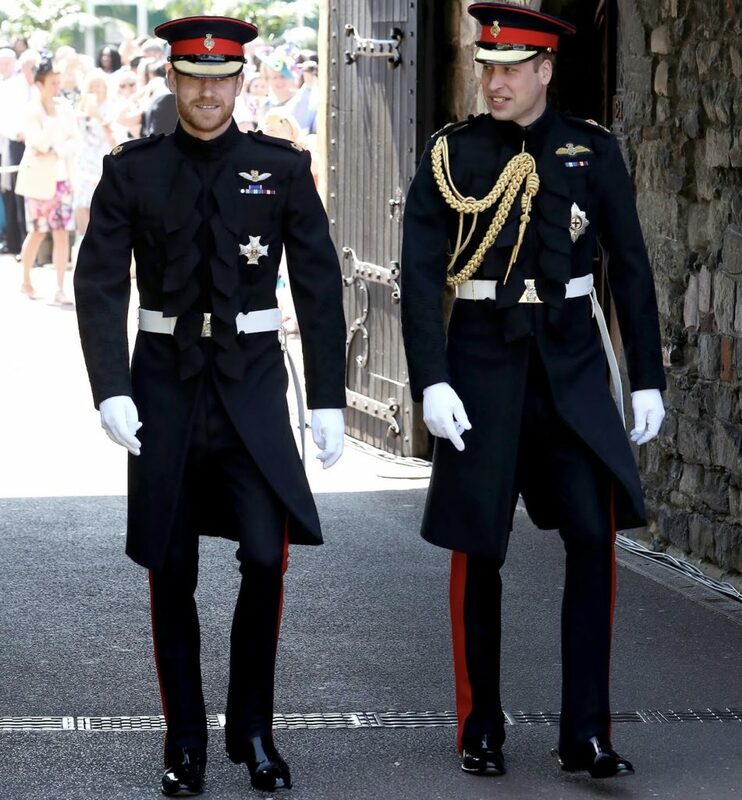 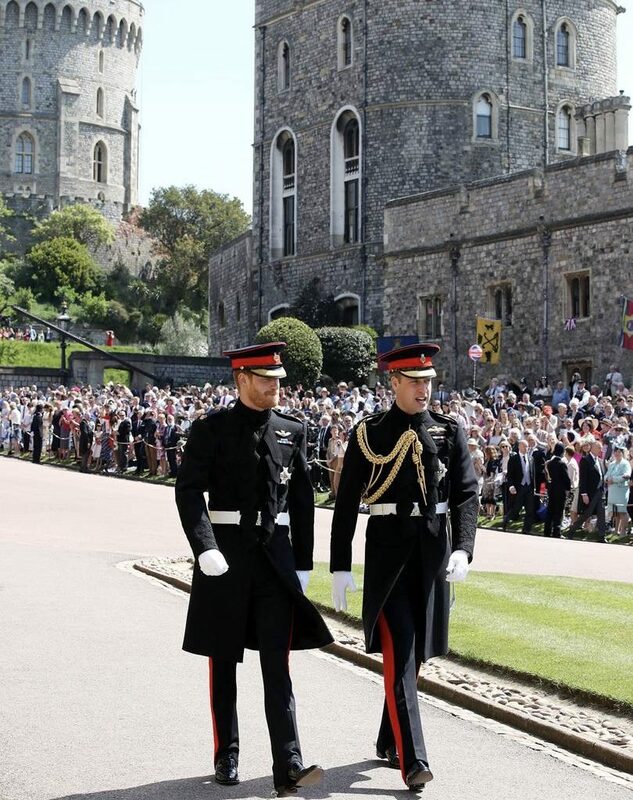 I also sent cards & letters to William & Harry when they lost their mother as I was so heartbroken at what had happened and received a lovely thank you letter from St James’s Palace. 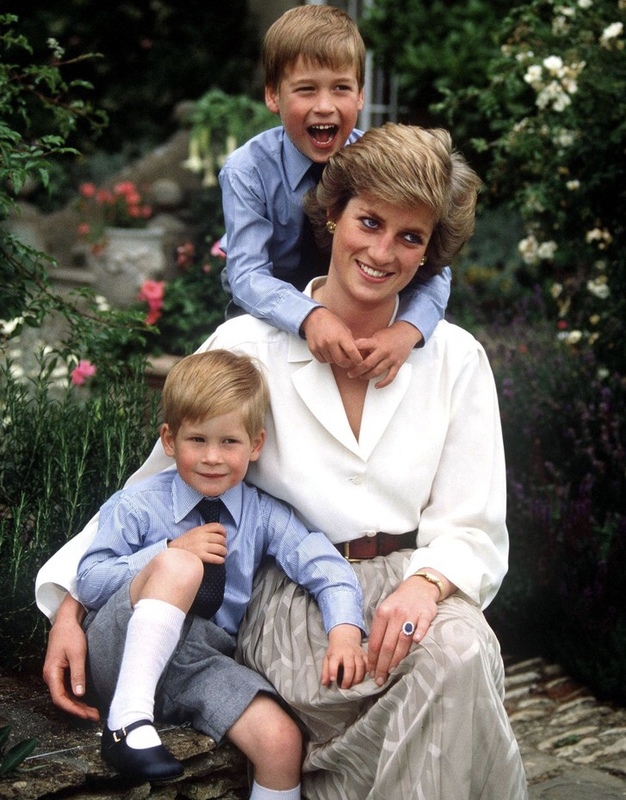 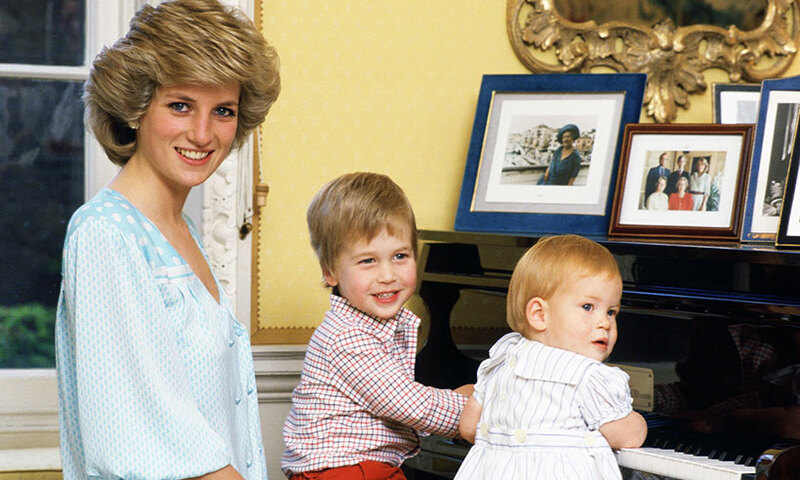 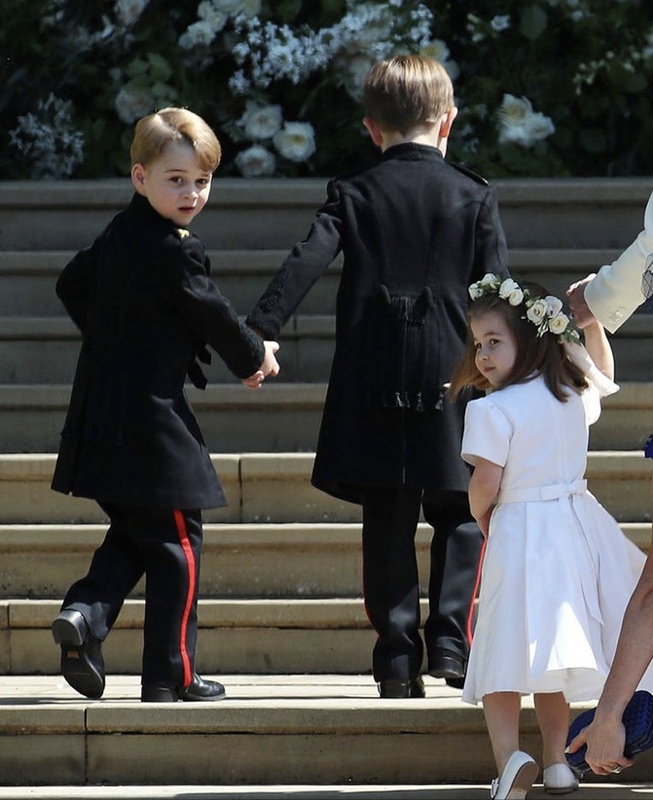 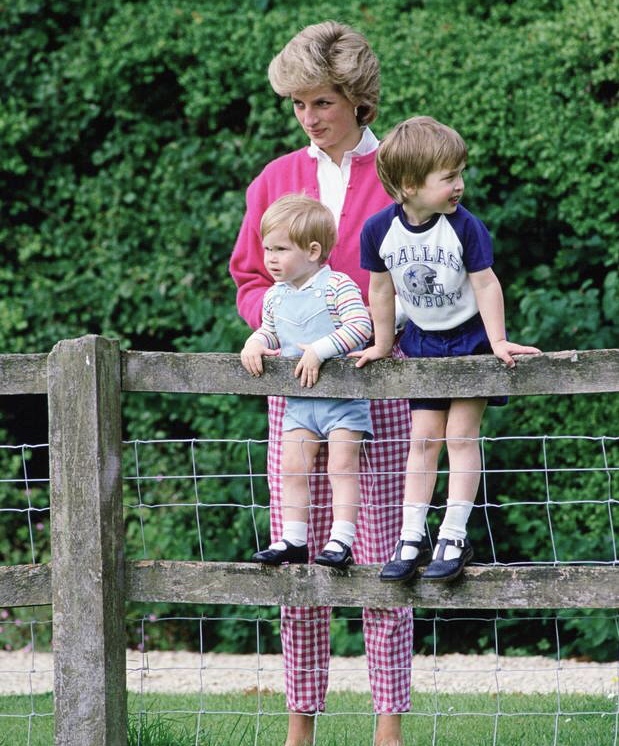 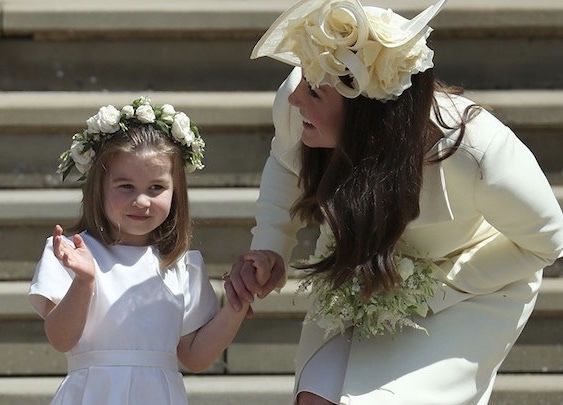 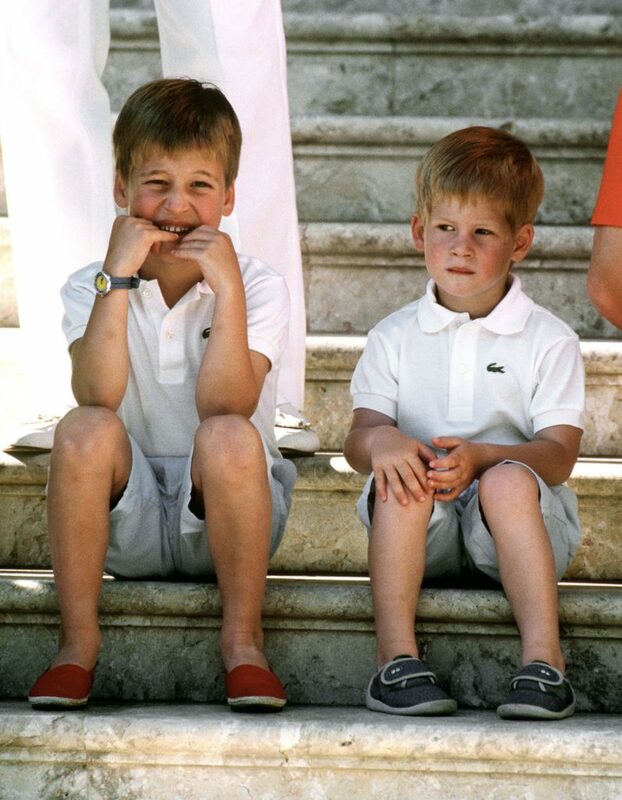 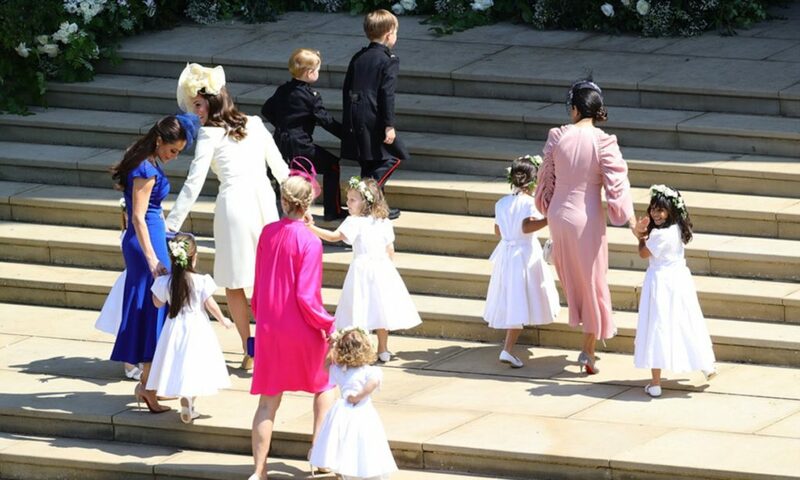 Having avidly followed the lives of both William & Harry I am so delighted that they have both now found that special person to share their lives with after losing their beautiful mother at such a young age. 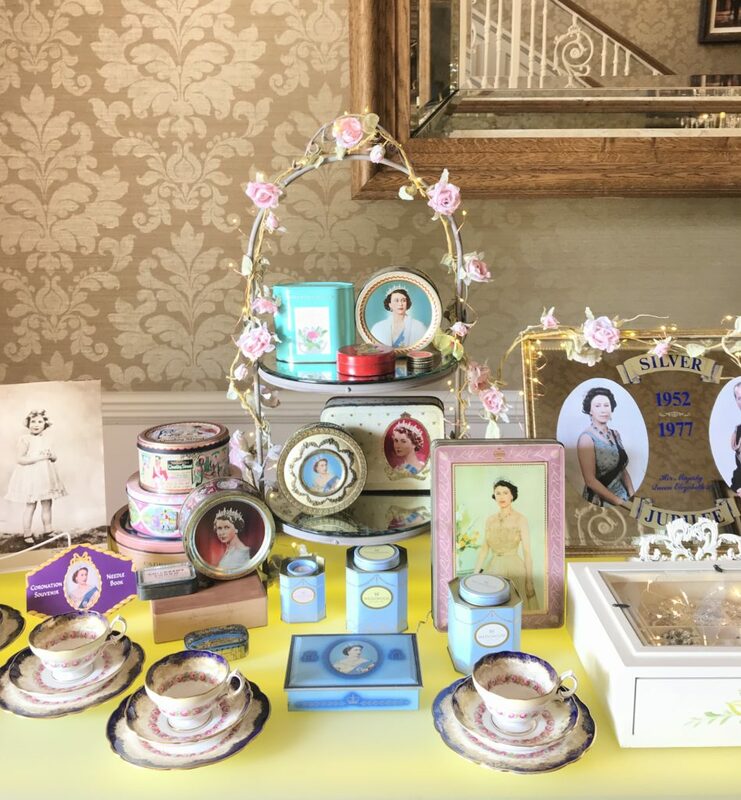 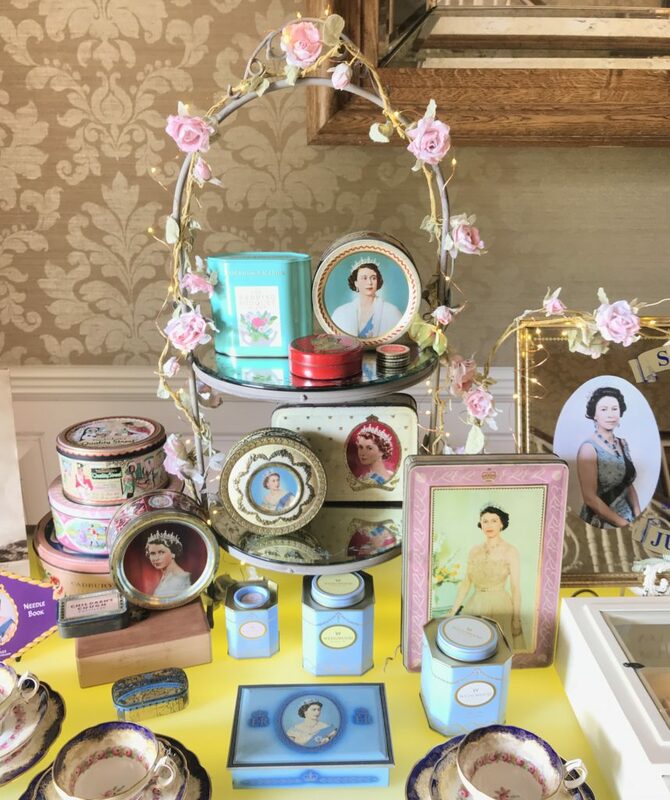 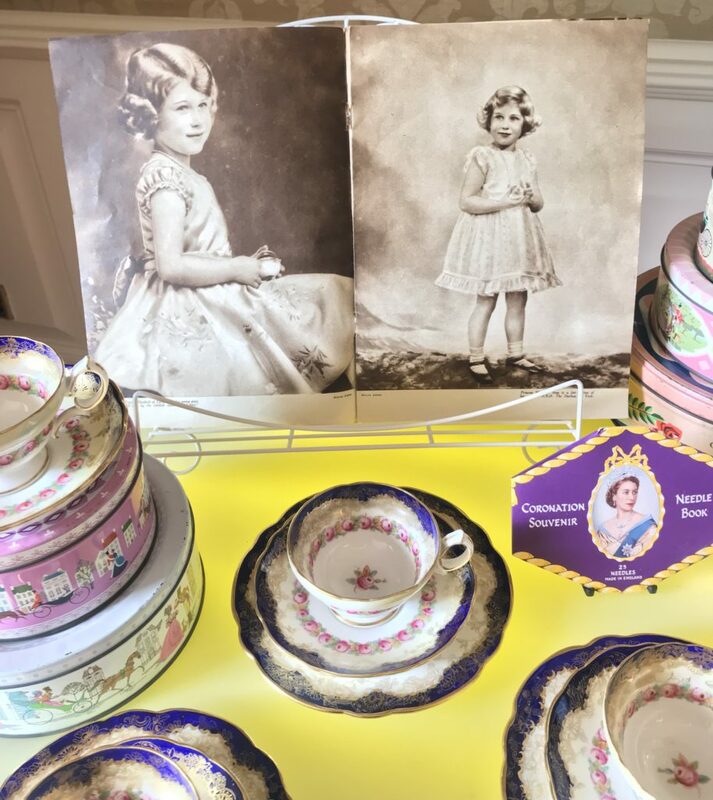 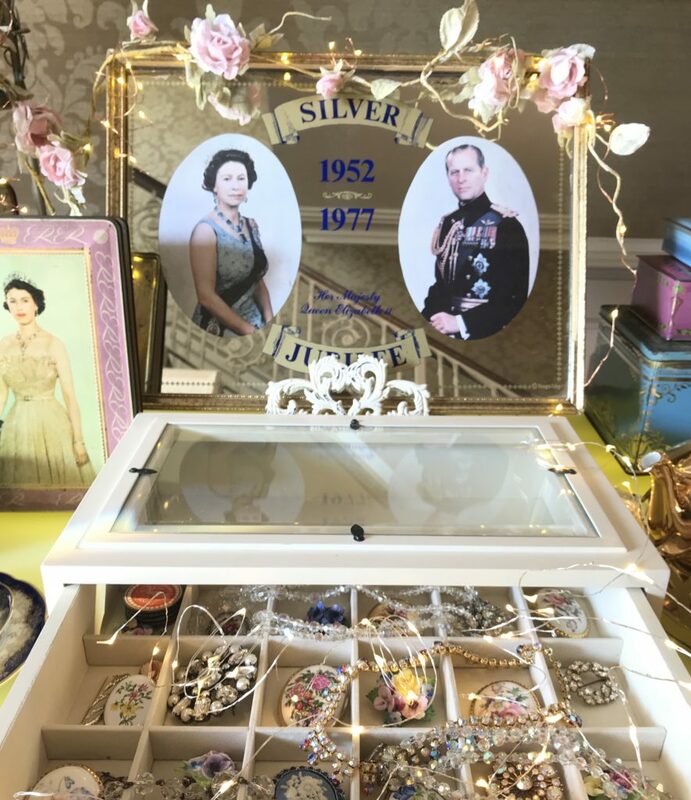 I have a lovely collection of old vintage tins and memorabilia featuring the Queen so decided to set up a display of these in the foyer where the guests arrived for their afternoon tea. 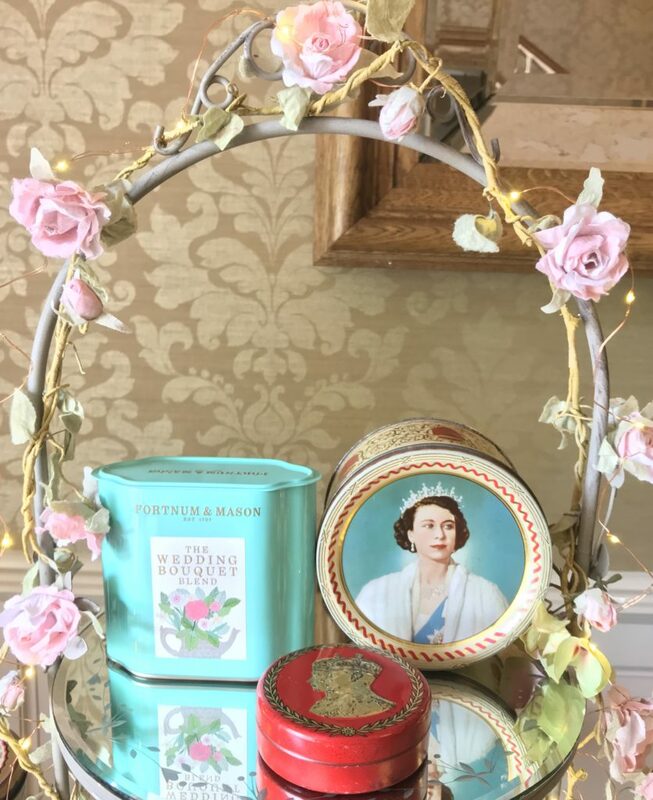 I also had bought a tin of the special edition Royal Wedding tea which Fortnum & Mason released specially to celebrate Harry & Meghan’s wedding so I included it in the display as well. 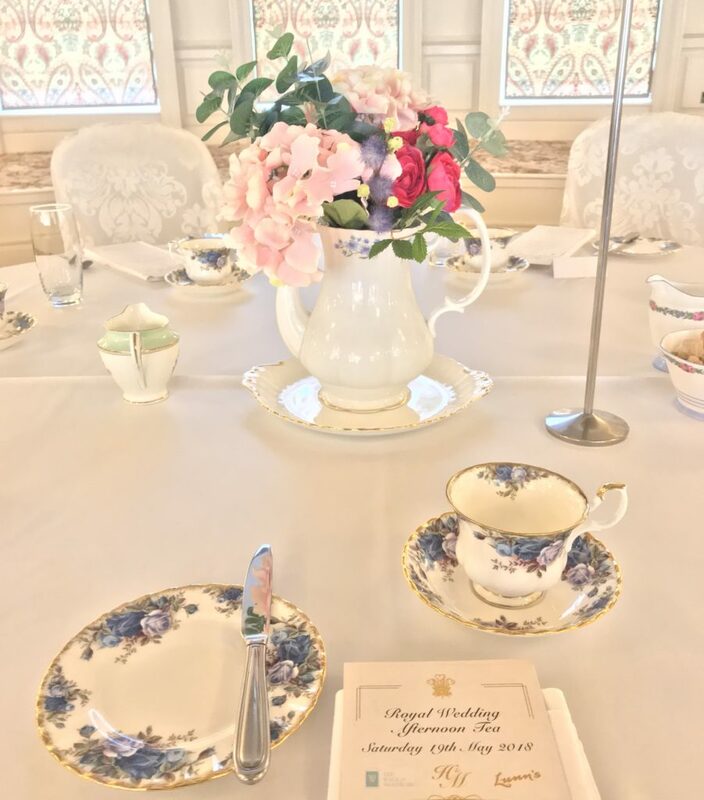 Guests then moved through to the Great Hall where the tables were all beautifully set with Royal Albert & Royal Grafton china and I used Royal Albert teapots filled with flowers as pretty centrepieces to tie in with the pretty vintage Royal theme. 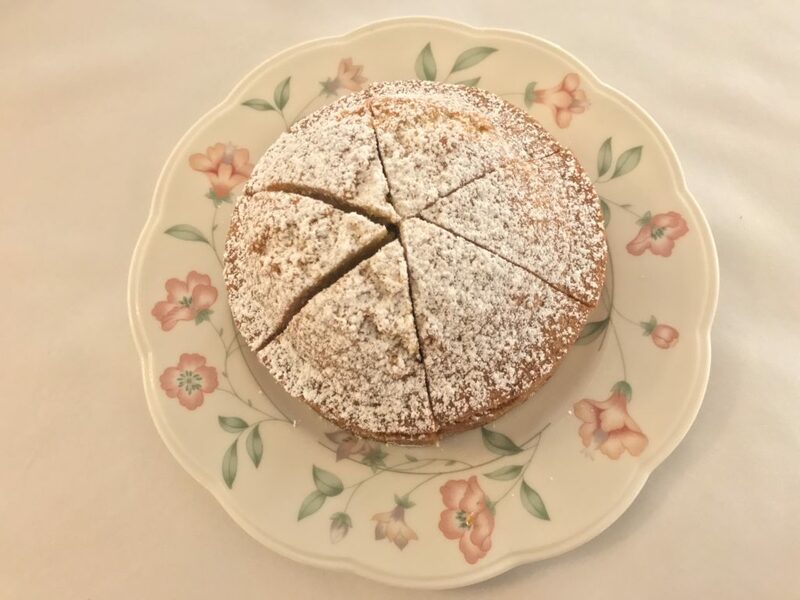 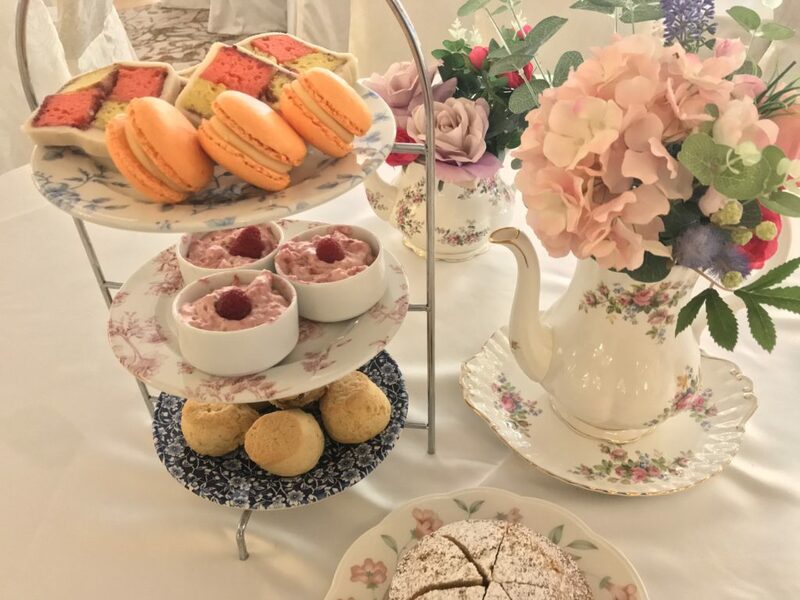 On the menu were delicious cucumber & salmon sandwiches with a mini cup of cauliflower soup followed by scones, traditional Victoria sponges, Battenberg cake and little desserts & macarons. 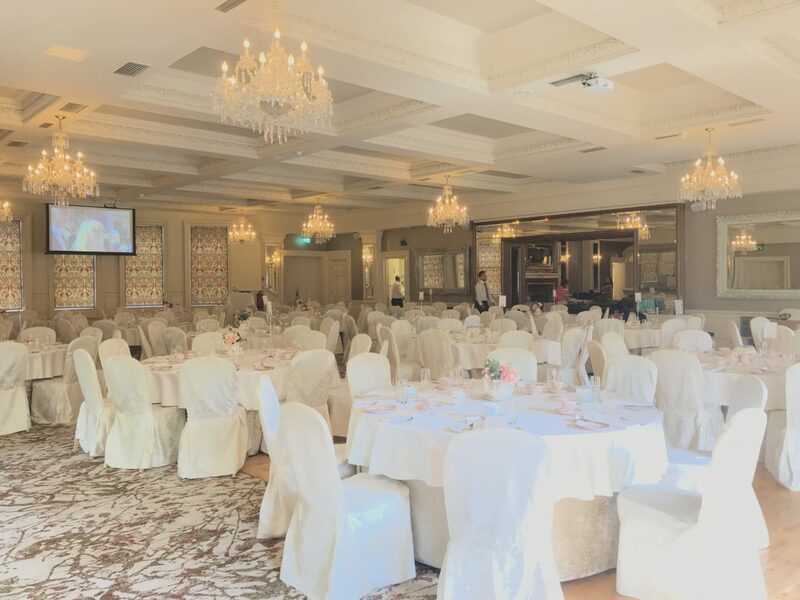 There were large screens set up at each end of the room so that guests were able to watch the wedding from start to finish. 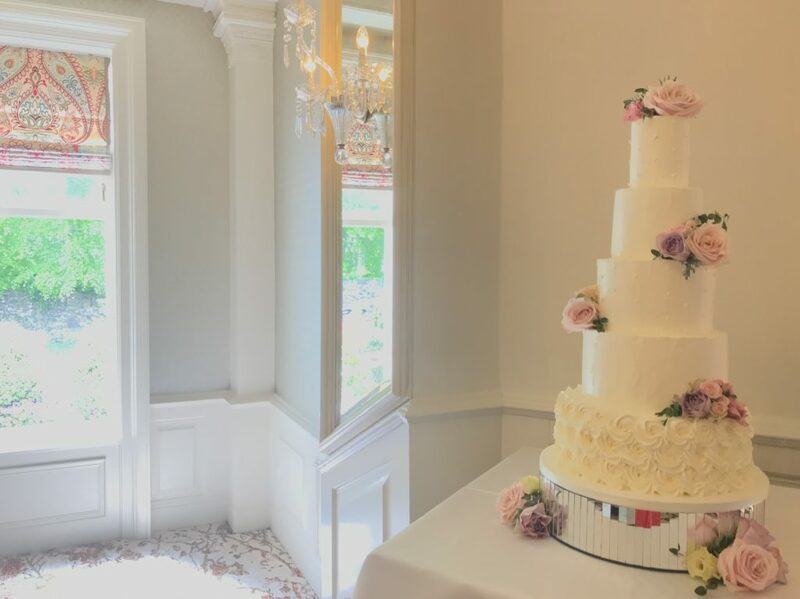 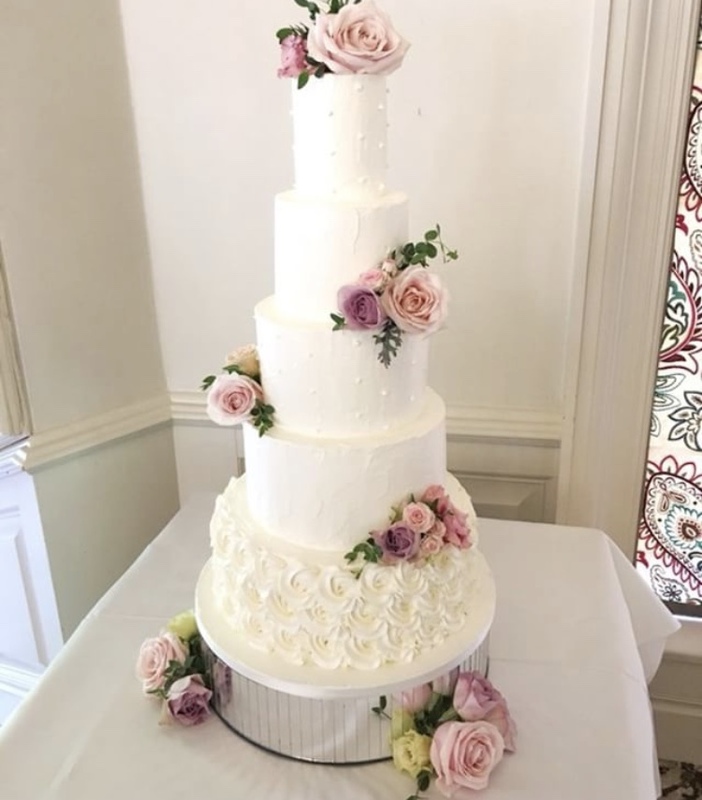 Gemmas Cakes had made the most stunning tiered wedding cake decorated with fresh flowers and every guest was given a beautiful little box with a piece of wedding cake as they left which was a really lovely touch! 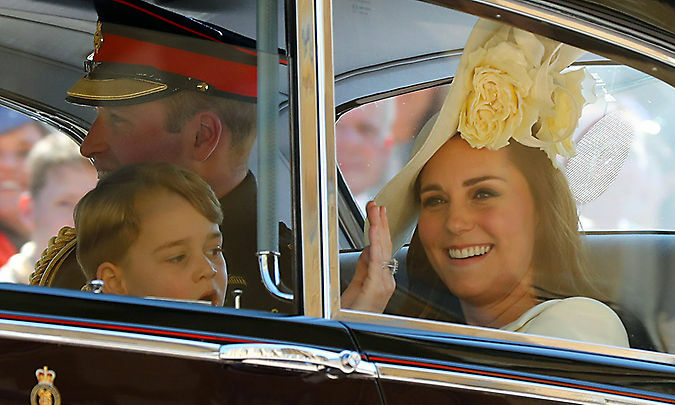 You’re really cute! 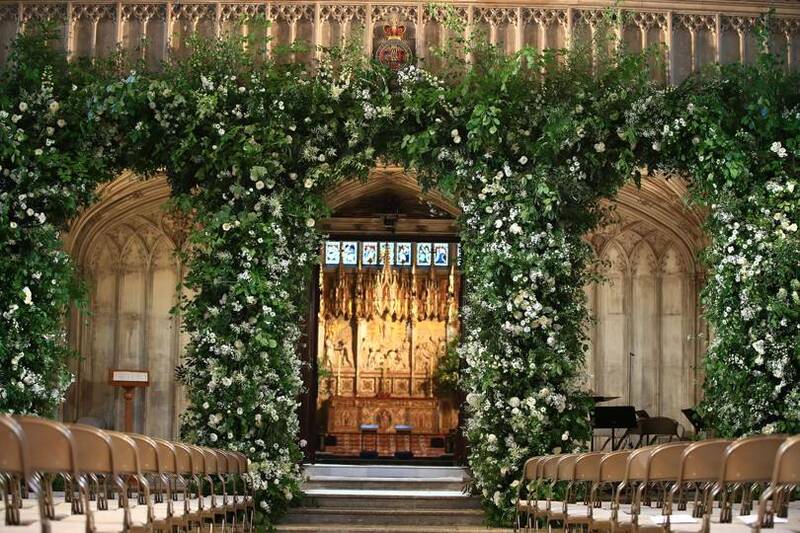 What magnificent presentation! 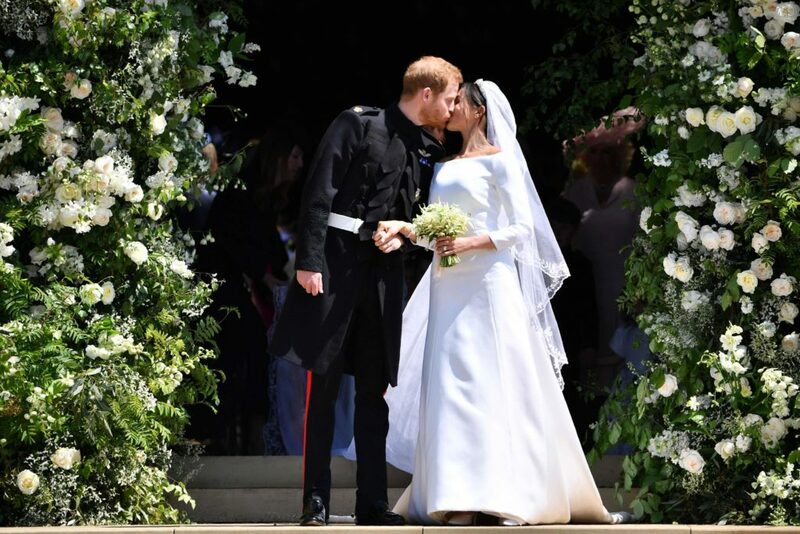 What can I said? 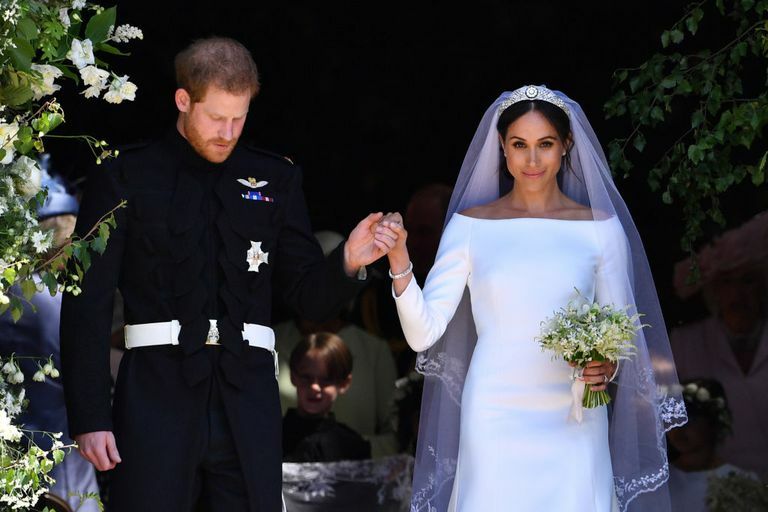 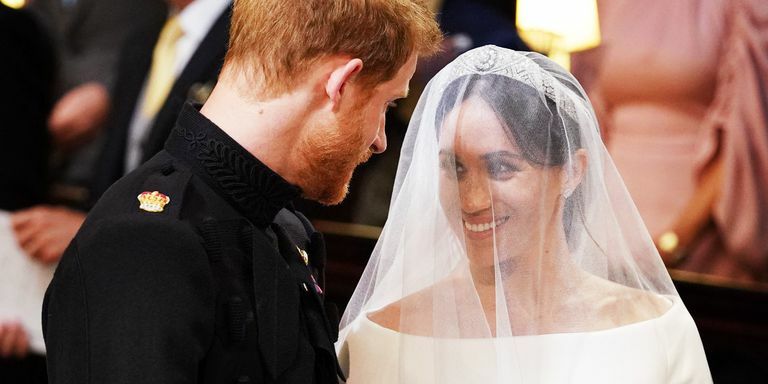 All around the world people celebrate this romantic wedding….include here, in Argentina, my country…God bless this couple and congratulations to you! 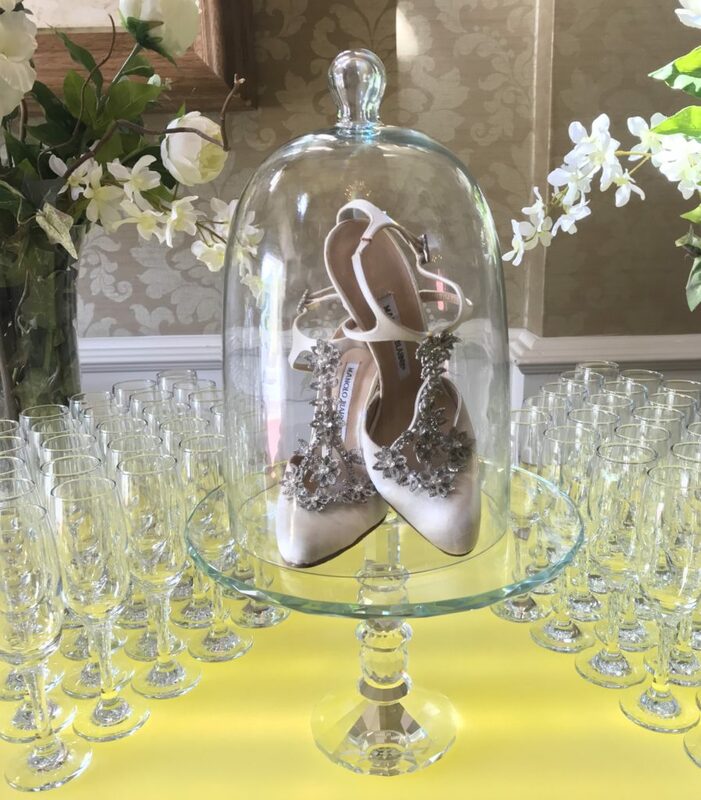 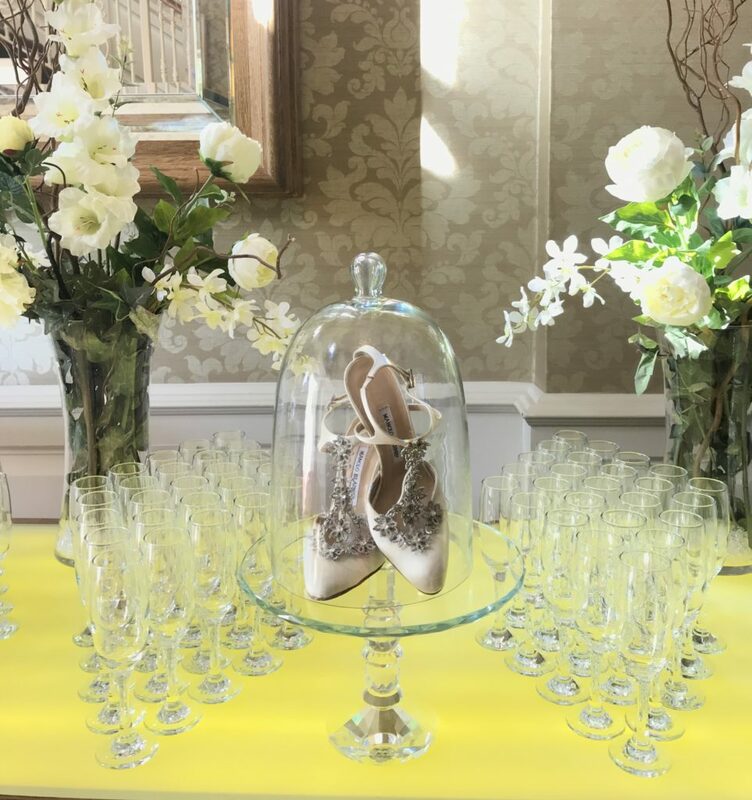 What a precious event and as always with very good taste! 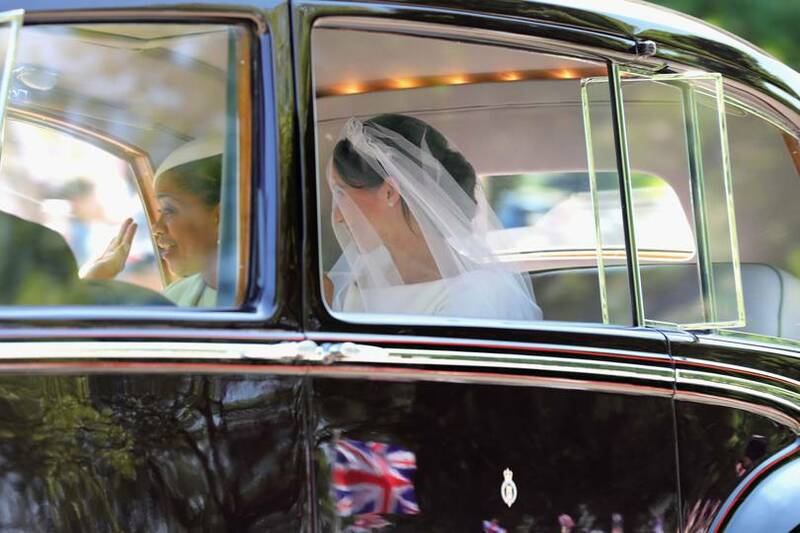 It fascinates me to see things of yours and I say oh! 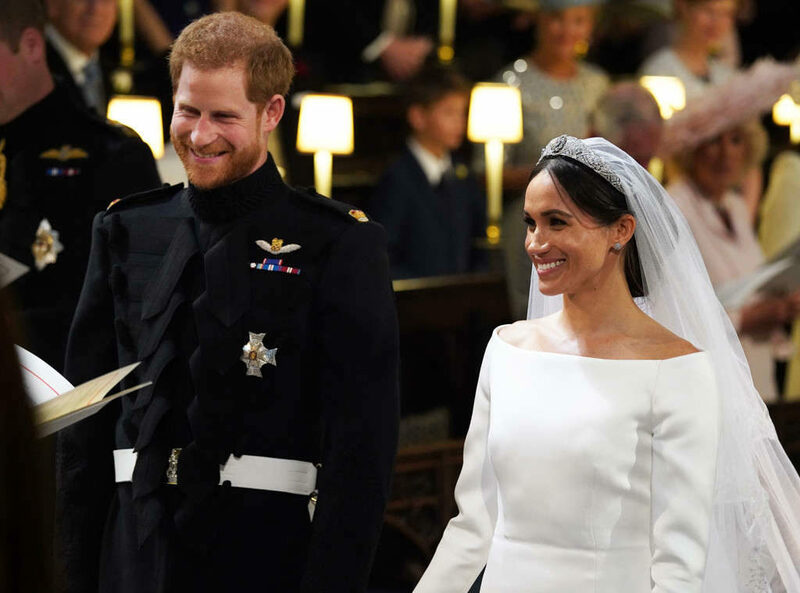 I have an equal and you always inspire me, I love to follow you but sometimes it is not so easy to express my emotions in English. 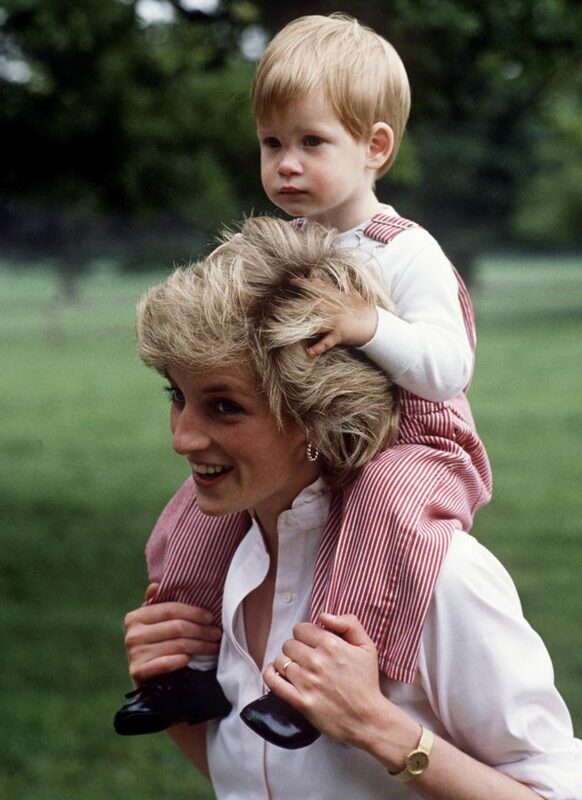 I am glad that this event has arisen for you, after the departure of your dear mother, I think that this has been good for you to regain strength.